Projects succeed or fail by the way they are managed and lead. Success requires more than good leadership. They need to manage their team to maximize efficiency. It requires a leadership that has the right tools to get the most out of their people. Finding the right tool, or project management method, that fits a job’s specific goals and needs can take time. There are a ton of options to consider. Several industries have developed their own unique methods tailored to their specific requirements. One also has to consider the size and makeup of their team, their general experience, and what has or hasn’t worked with them in the past. One of the more popular methods used by some of the fastest growing startups as well as large corporations is the Scrum methodology. Scrum has become one of the most widely used project management methodologies in business today. Originally created to better develop software, this agile management based system has been adapted to cover nearly any industry or project scope. We will show you exactly what Scrum is, why so many use it, how it is used, where it works best, where it doesn’t work, and how companies or individuals can learn and implement it. Once you understand these basic facts, it should be easy to figure out if Scrum is the right way to go with your project. 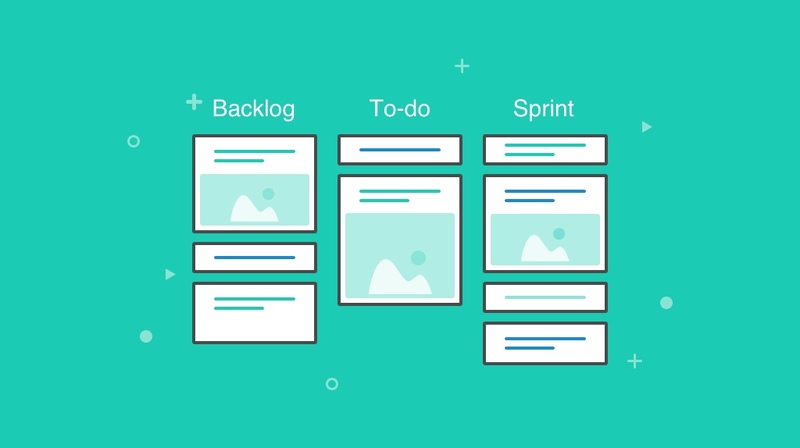 Scrum is a lightweight and agile approach to project management that breaks down a product into smaller tasks, and places them on a list called a backlog. Tasks are taken from the backlog, in the order they need to be completed, and given to teams who work to get the job done within a set timeframe called a sprint. Sprints lasts an average of two weeks, depending on the project’s timeframe and complexity of the task. The history of Scrum goes back to 1986 when Hirotaka Takeuchi and Ikujiro Nonaka first used the term to describe a more efficient way to approach product development. The word Scrum comes from the game of Rugby, and refers to when a team huddles close together and charges in an attempt to get the ball from the opposing team. In the 1990’s Ken Schwaber and Jeff Sutherland used and refined this method specifically for software development, since the predictive and waterfall methods weren’t always a good fit. They combined their practices, ideas, and observations and created what is officially known as Scrum. They presented their findings at OOPSLA (Object-Oriented Programming, Systems, Languages & Applications) in 1995, and Scrum is now the most popular agile project management methodology for most industries. The first thing anyone unfamiliar with Scrum should know is that while it is a simple concept, it can be challenging to successfully implement. It’s not a magic button that will suddenly solve all the problems plaguing a project, change a dysfunctional team into seasoned pros, or turn a complex and challenging tasks into something that’s a breeze. It has to be learned and mastered, just like any other skill. Scrum was originally designed for software developers, but has now been adopted and modified to work with nearly any complex product design or project. The people who use scrum the most are the managers and team leaders who are in charge of several groups or departments; i.e. the ones whose heads get served up to shareholders if projects aren’t successfully completed. A great thing about Scrum is how it has turned into such a versatile set of tools. A person well versed in Scrum who moves from one industry to another will still be able to use those skills to oversee projects, even if those industries are unrelated. This makes Scrum a valuable skill set to learn, even if a manager sees no immediate need for it. It’s a good bet that every worker will eventually be asked to be part of a team using Scrum. Companies who use Scrum can tackle larger projects easier and faster with a much higher degree of efficiency. For workers, Scrum Mastery is becoming essential for anyone wanting to move up in their careers and lead teams working on large or complex projects. Scrum goes beyond the standard management command and control model, and instead hinges on an active leadership role. The leader of a team using scrum is less like a coach standing and directing the sidelines, and more like the team captain who is in the game as much as everyone else. Like with any project management method, Scrum has its strengths and weaknesses. These are largely dependent on the nature of the project and who is on your team. Agile management methods like Scrum are easy to adapt to the quirks and different personalities working on a project, and they allow people to adapt to changes in scope or end goals. Team members have a clearer picture of their tasks. They know what they have to do, and any questions can be taken care of immediately or worked out during their next sprint. Feedback from customers and backers can be easily integrated during the process, and the agile nature of Scrum allows changes based on that feedback to be done more smoothly. Big projects are divided up into smaller parts which are easier to manage and complete. What is being produced can be reviewed and tested, during the creation phase. It’s easy to know how much work and effort individual team members are contributing to the project. No system is perfect, and as adaptive as Scrum is, it can’t cover all situations. It’s also as vulnerable to the human element as anything else. Above all, Scrum is dependent on having workers who are competent, dedicated, and willing to work as part of a team. Teams can fall apart or implode, if members are uncooperative, overly competitive, or generally uncommitted to the project. There are other drawbacks that can occur when using the Scrum method. Scope Creep: A project can bloat as the lack of a definitive end can lead to more and more things being added on. Team members have to be experienced. Rookies can get overwhelmed by the pressure and demands of a sprint. It can throw a wrench into the whole project, even with a veteran leading them. Large teams can have trouble adapting to and fully utilizing the agile nature of the Scrum method. Which leaves the question, how big is too big? Quality assurance can be a problem, even with testing. Too often teams will throw a band-aid on a problem, and the goal of getting something done becomes more important than getting it right. Losing a team member can have major negative consequences for both the project and their team. Almost any company or complex project can benefit from using the Scrum method. Like with any major undertaking, the right person to run the project has to be found. Scrum is dependant on having knowledgeable, dedicated, and hardworking personnel on a project. Without this key element, projects are likely to be riddled with all manner of problems. Implementing Scrum is simple in and of itself, but takes expertise to keep things on track. Start by setting up a proper backlog. After that, do the needed planning, create a work environment conducive to the way Scrum works, conduct stand ups with the teams, and get at it with the sprints and work. There are near endless examples of Scrum being used in various projects. Scrum has even made it into the hit HBO series Silicon Valley. In real life, several companies have used Scrum to great effect. One of the most notable is Amazon. There is no question that Amazon is a behemoth, and one of the ways they got to where they are is the aggressive and widespread use of Scrum. It fits well within the retail giant’s corporate culture of giving management autonomy and wide discretionary latitude when it comes to problem solving. Amazon has adapted Scrum to be used on a variety of projects ranging from the site’s operation to physical applications such as logistics. Most of the time, when Amazon rolls out a new product, service, or feature, it’s a good bet that Scrum played a heavy role in the project’s development. There are several options available to anyone wanting to earn a Scrum certification. Two of the most notable are Scrum.org and Scrumalliance.org. Each has their own approach to getting management up to speed on Scrum. Scrum.org was started by Ken Schwaber, one of the Scrum co-founders, as a way to teach others the method. Their primary focus is more along the lines of Scrum’s original function as a tool to better manage software development. They excel at what they do, and their expertise is undeniable. It wouldn’t be much of a problem for most people seeking this course to adapt this methodology to non-software related projects. Scrumalliance.org offers Scrum courses that teach managers how to use this method for projects other than software development. They also help new members find a certified Scrum Master to be their coach, as well as host events and workshops. There are advantages to becoming a certified Scrum Master. Not only will someone with this skill set keep their themselves more relevant and marketable in the workplace, they will add value to any organization they are with. There is also a global community of Scrum Masters and experts that offers a network of support and ways to find new opportunities. Getting this level of certification also shows a level of dedication to getting a job done and a willing to work as part of a team - something that smart companies look for in a prospect. Scrum has become an essential tool for management that will not only make everyone’s job easier, but will also be a major career advancer for those who have mastered it. The system is easy to use and implement, once it is learned, and it is becoming a standard for several industries. There are several different project management methods for companies to choose from, and as vetted and powerful as Scrum is, it may not always be the best choice. Finding the right project management method can be what makes the difference between success and failure. Before deciding which one to go with, compare the strength and weaknesses of each method and what type of project they best serve. Research other methods, learn where they work best and where they fail, and find the best fit for the job. Some may be a much better fit to a particular project than Scrum.